We scored big time this year guys! For once, we’re actually home for more than a week at a time during Summer. Because we’re not traveling as much, we’re able to hang out in the garden and beat all the garden critters to the figs. This is huge. Literally, huge in both the harvest and in eating all the figs we want without losing it to the squirrels, beetles, and birds. With two keen sets of eyes waiting for the right timing to pick the figs, we planned it just right for our first picking. Normally this time of year, the squirrels and birds left us half-pecked fruit. These greedy critters couldn’t even finish what they were eating before feasting on another piece of fruit. It killed us to look up and see nothing left for the humans. Even the pups couldn’t enjoy any of the fig rewards other than the cored out fig skins. 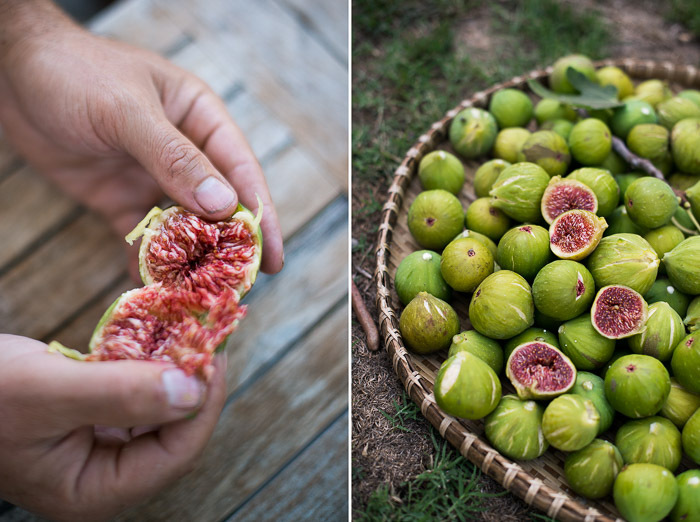 This year, we prepared ourselves weeks in advance and what we were rewarded were all this figs. Finally, we beat out the critters. These awesome owl reflectors were incredible for keeping the birds away from figs. 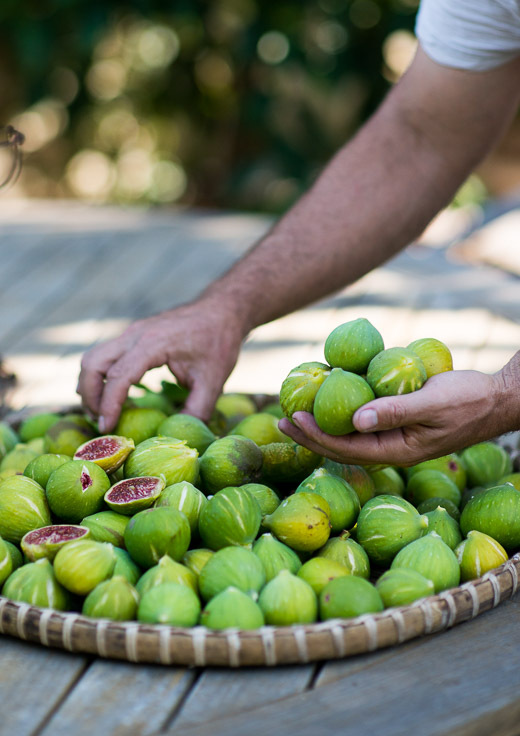 With so many figs ripening every few days, we were indulging in foggy-happiness, it was like being drunk on figs. First we ate them whole. Sweet and luscious as ever when they’re tree ripened. With the best of the first batch, we made fig balsamic for cheese plates, fig jam and what you see before you: baked figs. Oh goodness, you must make these. 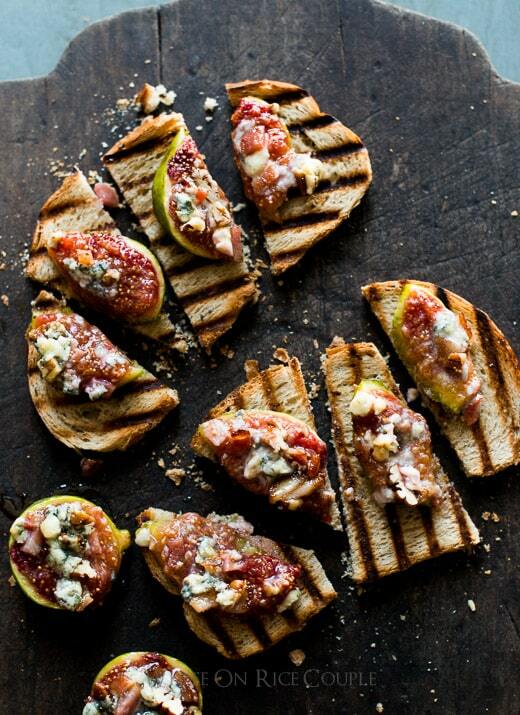 Baked figs with crisp salty bacon, blue cheese, crunchy nuts all spread of crust bread is out of this world. This is literally one of the easiest fig dishes to make, but it packs a whole ‘lotta punch and flavor. And if your next Summer gathering doesn’t go nuts over this dish, then they just don’t get figs. Don’t invite them back! We’re making more fig recipes that we can’t get enough of and will be sharing another one next week. 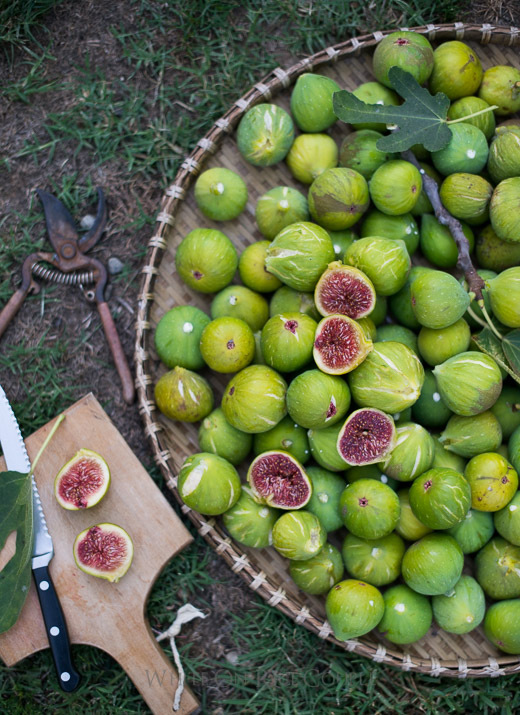 In the meantime, get yourself a basket of sweet figs and make one of the most incredible appetizers for Summer. This post was originally published in 2014. We’ve updated the recipe and added a quick video making the baked figs and a new recipe format. Enjoy! The best part of this recipe is that you can add as much cheese and bacon as you like. To add more toppings, just press some bacon or cheese down on the center of the fig. You can even lightly scoop out a little bit of fig center, but if the fruit is super sweet and good, then don't waste it. Push the filling down into the figs and enjoy!Use whatever nuts you'd like to top the figs-pecans, walnuts, hazelnuts, etc... Whatever you enjoy! Pre-heat oven to 350°F (175°C). Line a baking sheet pan with parchment paper. Place cut figs on a lined sheet pan. If any of the figs don't sit level, make a small flat cut across the bottom of the fig so that it sits flat when you add the toppings. 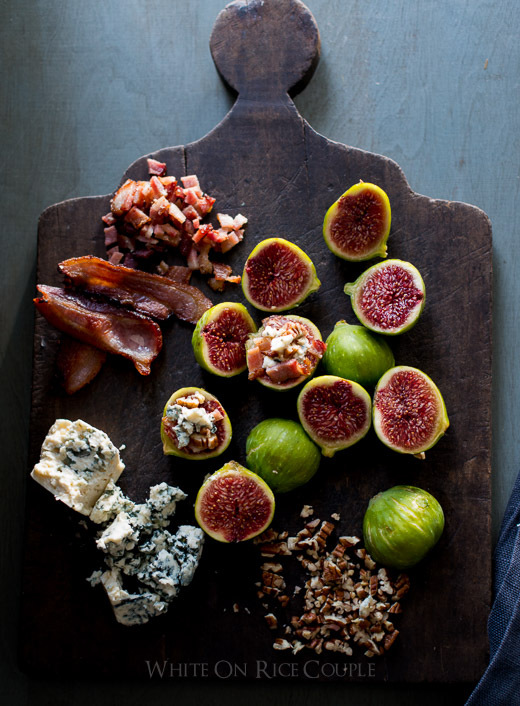 Top the figs with the crumbled cheese and bacon. Press the nuts into the cheese to help keep them from falling off. 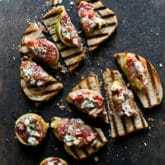 Bake the figs for 10-15 minutes or until the figs are soft or to your desired texture and the cheese is melted. After removing from the oven, drizzle honey over the baked figs. Enjoy the figs warm or at room temperature. 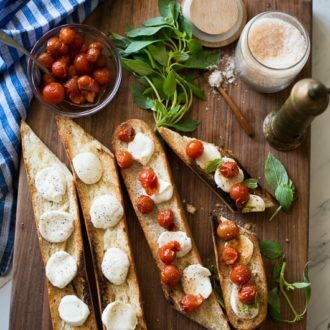 Serve as an appetizer or spread figs on toasted bread and serve with your favorite glass of wine. 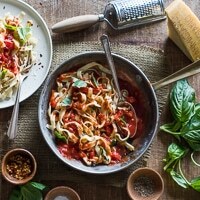 Hi Glen, That’s too funny and yeah, this is the type of simple recipe that can totally make you look good! 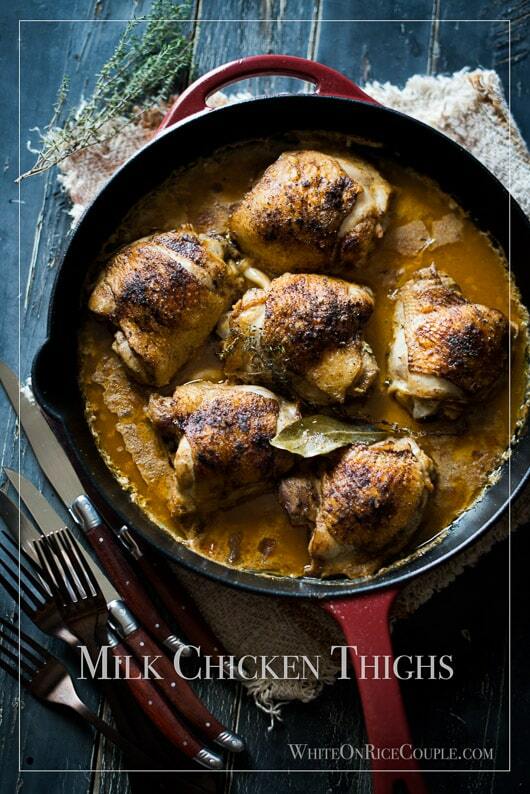 Tried this tonight and I am impressed how delicious this recipe is. Thank you! Now that is truly mouth-watering! I have never cooked with fresh figs so am curious. Do they stand up to the baking alone to eat as finger foods or is that why the bread is included? 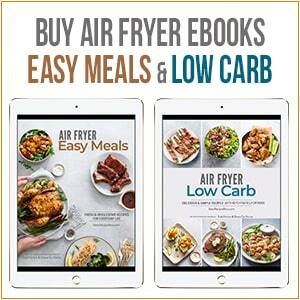 They will get soft and are easier to eat on bread or crackers. That said, we will still eat them as finger food when in a casual setting. Is this glazed with honey? It looks amazing! If you still have a ton of figs, consider making fig chutney – I have a recipe on my site. 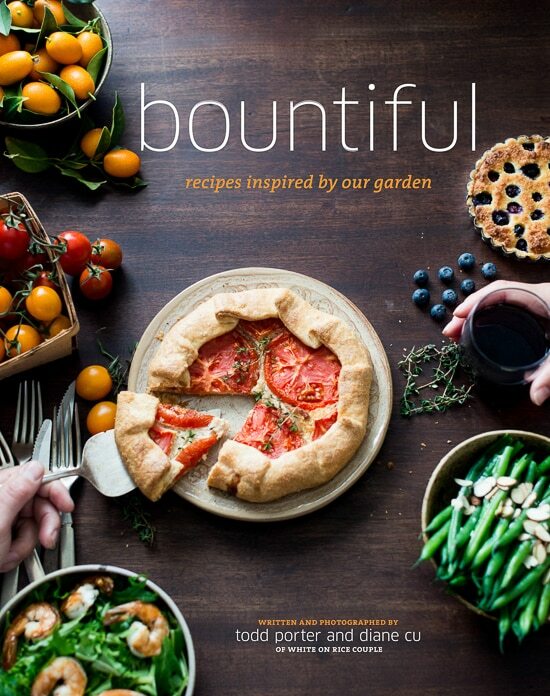 Beautiful post here! Ahhh I can’t stop clicking through all your posts! They are all SOO beautiful! 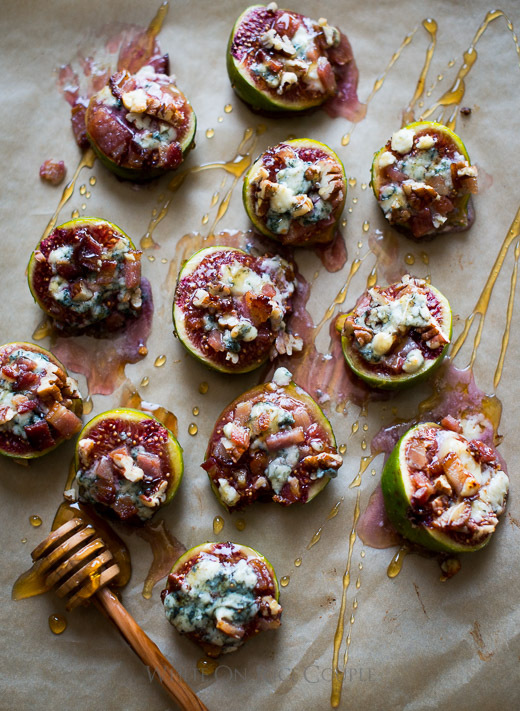 My husband is obsessed with figs (and bacon for that matter) so I think I’m going to have to make this one too! These are insanely gorgeous and I’m green-monster jealous. I got exactly 3 figs this year that were edible. 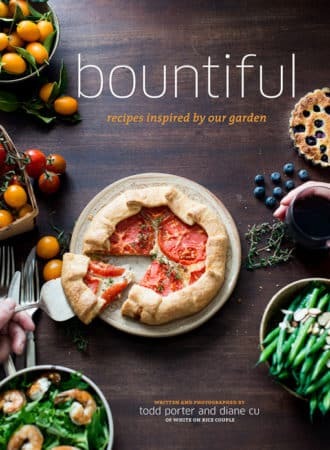 Do you think this would be worth making with the grocery store variety (I’ve never bought them, only had them from locals, my own and at restaurants) or should I just bookmark this one for next year? I go nuts over figs! I promise! Double pinky swear! These look luscious! Figs don’t grow in Colorado. Whatever shall I do? Oh my. That’s really all I can say. I am doing my happy dance, because this may be me in a decade or three. My friend just bought me a baby fig tree, grown from a cutting of a farmer whose father brought the original tree over from Italy in 1920. Yes, it’s a baby tree, but I know it will grow and now with your recipes I can plan what to make when I have my very first harvest, which may be one darling fig. Cannot wait!!! 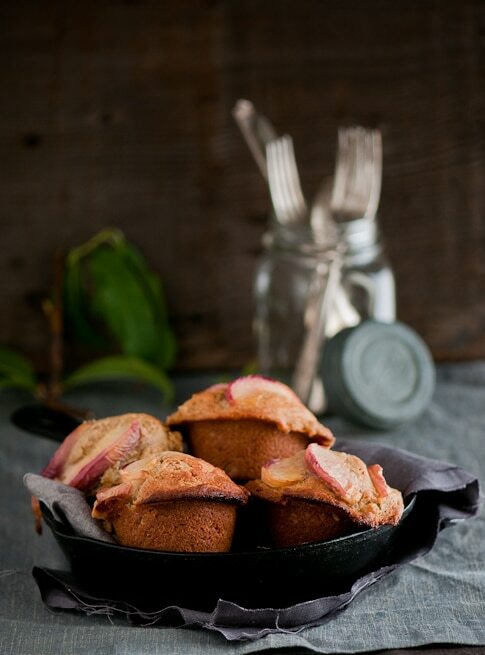 So gorgeous, what a perfect bite to celebrate your fig harvest! This is kinda the perfect bite + that fig shot…incredible!! Oh I can relate to the bird problem.I have mango tree and they always have eaten at least half of my tree crop. Can I trade a bunch of mangoes for figs? Oh boy do I miss them especially on that grilled bread.